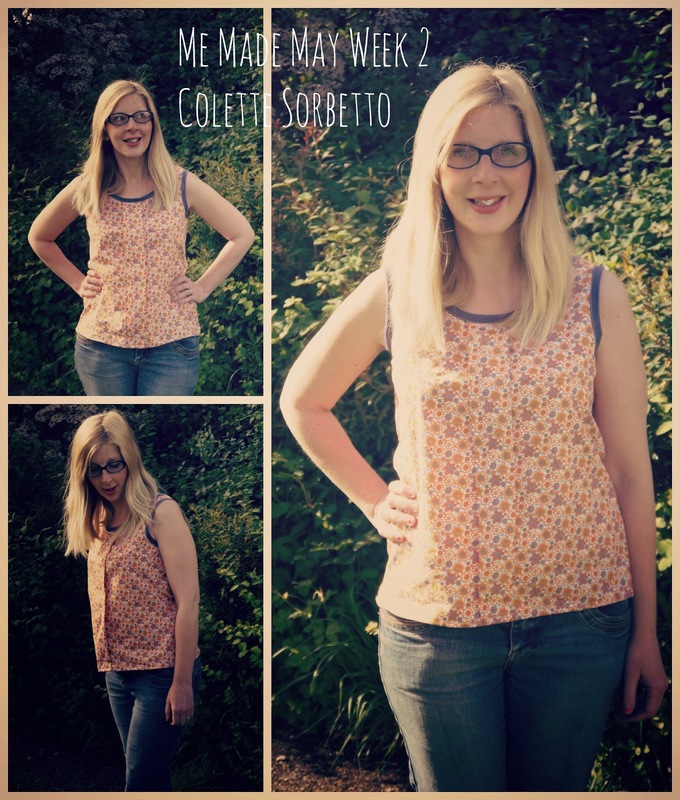 So the next make I made was this - well actually it wasn't I made a Colette Sorbetto before this one. The only problem was it didn't fit at all. Will discuss the successful one next week. 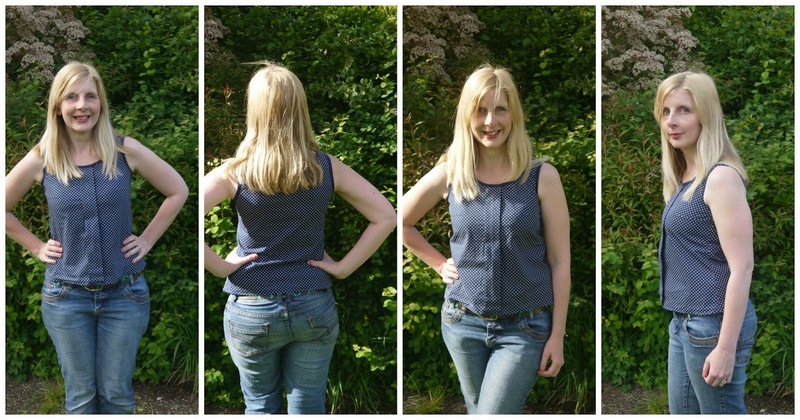 I made it using navy polka dot material (which was left over from my ByHand London Victoria) and it only took a few hours to make although I think after making one, future Sorbettos are much quicker. The problems with my navy Sorbetto is that it is too tight around the front and far too short for my personal preference. I definitely would not be able to raise my arms. It fitted around the back fine and the pleated front is a really sweet and simple to do feature. I used plain navy bias binding for the neck and arms. Really love the navy spot and will make another as it would be so versatile. I plan to make further Sorbettos but longer and more generous around the front. 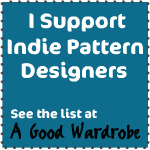 There are also so many variations of this pattern and the best thing of all its completely free and instantly available as a printable download. This did however allow me to practice and so although not wearable, as a toile it worked really well. So I'm counting it as a success. I also got better with practice making neat binded seams.